“It’s been my most productive summer ever,” Alex Katz declares. “The real work is here, though,” he tells me, unrolling pounce paper to show me his preparatory drawings. “I want to go even bigger,” he says. I drove past the modest yellow farmhouse in mid-coast Maine the first time, not quite believing I had found the right place. 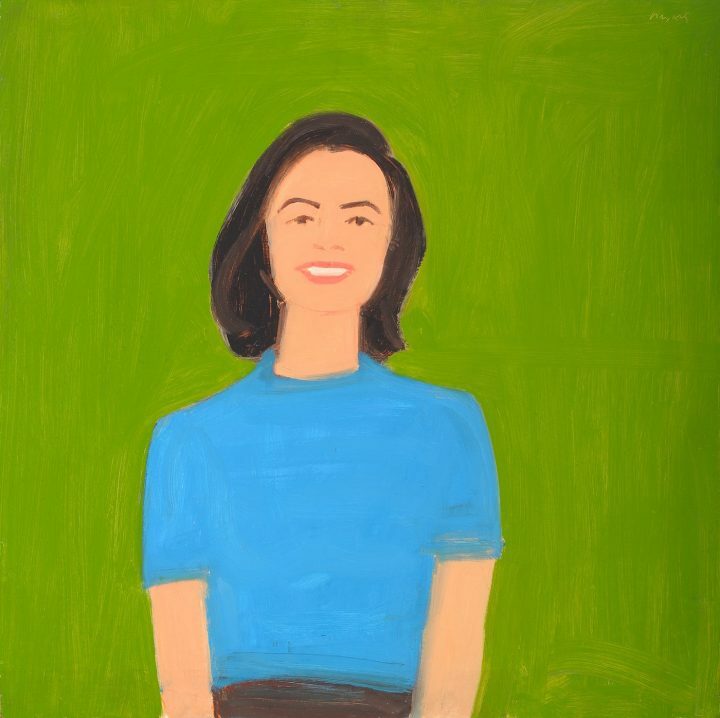 Finally I knocked on the door and was greeted warmly by Alex Katz’s wife, Ada, “Are you here to be painted?” It made me wish I could say yes. Inside were low-ceilinged rooms, fixtures, and floorboards that looked unchanged since the 1950s. Katz arrived and led me along a path through tall spruce trees to his studio building. Suddenly, space opened up. We looked out on the pond for a minute, before going into his vast, modern studio, where eight or so new paintings were propped on antique chairs against the walls. “It’s been my most productive summer ever,” Katz declares. “The real work is here, though,” he tells me, unrolling pounce paper to show me his preparatory drawings. “I want to go even bigger,” he says. In person, Katz’s ambition is equally matched by his gracious, open smiles, and acknowledgments of how paintings don’t always work. For him, it’s about constant discipline, practice, and technique, with the goal of being the best. These habits extend out of the studio, too. His daily exercise regimen includes several hundred sit-ups, push-ups, and half push-ups, along with a half-mile swim, and sprint interval training. The jump in scale between the enormity of the studio and the intimacy of the yellow house, the palpable closeness within his family unit, and an integral connection to the surrounding landscape are key to his work. There is an emotional truth extending across his surfaces that is grounded in a specificity of time and light, and a refined precision of line and shape, which pack as much of a punch as the big gestures and broad planes of color. Katz was born in Brooklyn, New York, in 1927, and raised in St. Albans, Queens, by Russian parents. He studied at the Cooper Union School of Art, New York, and Skowhegan School for Painting and Sculpture in Maine. His first solo exhibition was held at the Roko Gallery in 1954. His friends included painters such as Fairfield Porter, Jane Freilicher, and Larry Rivers, photographer Rudolph Burckhardt, and poets John Ashbery, Edwin Denby, and Frank O’Hara. In addition to painting, he is known for collage, cutouts, and printmaking. Katz has been the subject of more than 200 solo exhibitions, and his work is represented in more than 100 public collections worldwide. Recent museum exhibitions include Alex Katz at The Met (2015-2016), The Metropolitan Museum of Art, New York; Alex Katz Prints (2010), The Albertina Museum, Vienna; and Alex Katz Portraits (2010), The National Portrait Gallery, London. 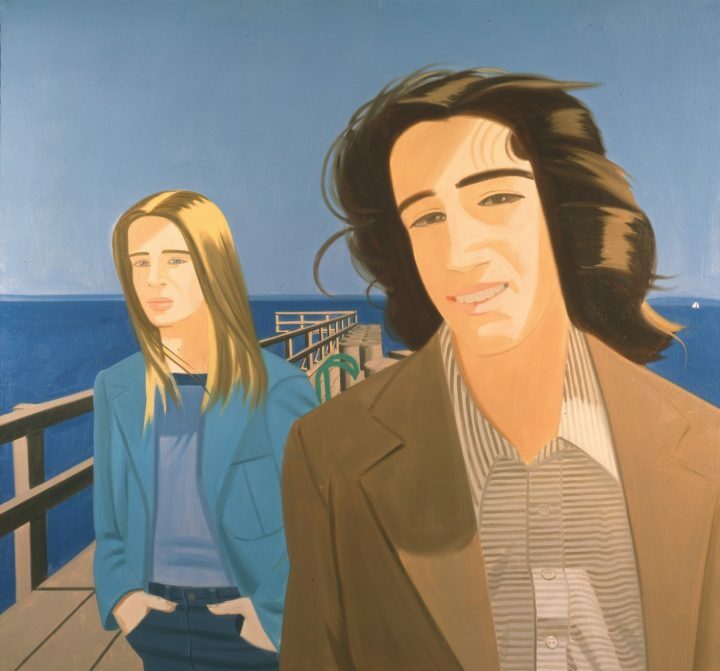 The Paul J. Schupf Wing for the Works of Alex Katz at Colby College Museum of Art presents ongoing exhibitions of its in-depth collection of work by Katz. 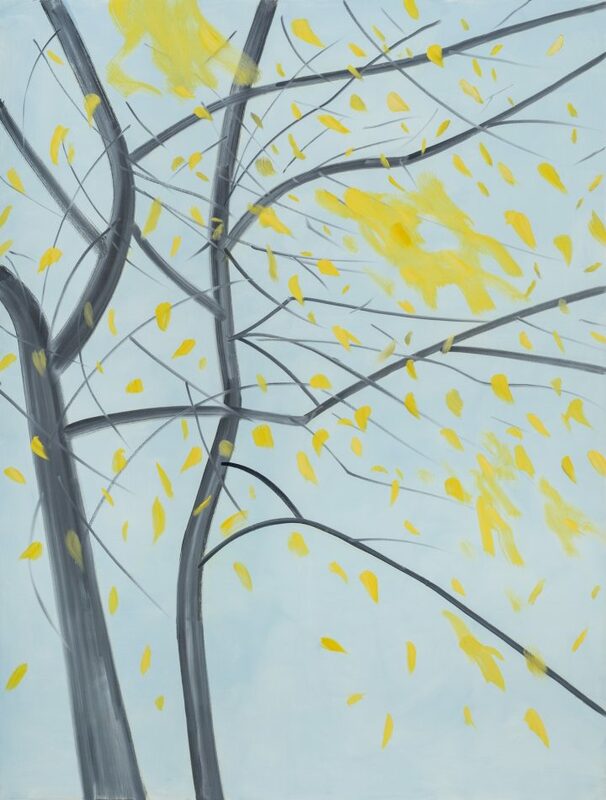 Alex Katz: Black and White is currently on view at American University Museum, Washington, DC, through December 18. Jennifer Samet: You grew up in St. Albans, Queens. Are there visual experiences from childhood that you feel infiltrate your work? Alex Katz: I liked doing crayon sketches when I was young. When I was seven, I won the Wannamaker city prize for a drawing. But I was not one of those child wonders; the drawing was very childish. It had a half-inch of blue at the top, and a half-inch of green on the bottom, with a tree coming out of the middle, straight up. In the tree is a monkey fighting with snakes, and one of the snakes is in motion — he is all blurry. There are people swinging and hanging off the tree. I can’t make sense of the drawing. But it was imaginative and not about conventions; that was the point. My parents were very art-conscious; my mother had opinions about paintings. Our house had decorative details. The living room had wood paneling, which my father painted in different colors. On the inside, it was painted a pale yellow, and the outside was pale violet. It looked great — like something out of France. In the sun parlor, he used three reds, and that was gorgeous. 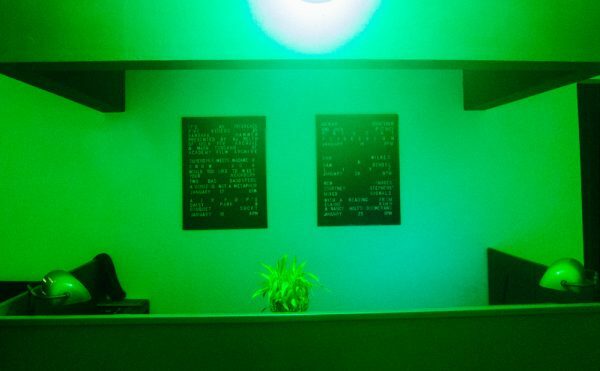 He made plant containers, painted bright orange and green, with very loose paint, unlike the wood paneling, which was very tight. There was a reason for everything, and I was brought up with that. JS: What were some of your early experiences in school with drawing? AK: In high school, for three years, I drew from the antique. It remains with you for your whole life, and becomes part of your unconscious. It is about giving form substance, and also connecting with the Greek idea of beautiful. When I started to do modern art in design class, the teacher was discussing Braque and Picasso, and telling us, “Don’t break up a line with a dark color, a dark tone. Keep all of your tones together. It was exactly the same instructions as the cast teacher had given us. By the early 1950s, I didn’t want to make contained drawing anymore. I wanted to make a painting that was open. Picasso and Matisse put lines around things. Somehow it was in the air to go open. Pollock was going open, and Bonnard was open. So I didn’t try to do a serious drawing again, until the 1960s. In art school, the teacher Robert Gwathmey told me to get John Rewald’s book, The History of Impressionism. That had a big effect on me, although I wasn’t going to paint that way. Impressionist painting is like, “Look at the sunny side, even if your house is burning.” Everything is presented very pleasantly, as if the world is very pleasant. I wanted to make pleasant paintings. JS: Which of the Impressionist painters you were especially interested in? AK: I liked Cézanne before I hit the book, because I thought he had a great deal of emotional force. The art historians made him into an intellectual artist, but I liked him first because everything was so physical. I liked Sisley a lot, because he was lyric, and I liked the way he set the first plane; it was always so nice. Then I finally got to Monet, who I just think is fantastic. Degas came later for me. But you use things as you need them. With Renoir, I like his images a lot, and I admire his skill with local surfaces. But he didn’t have a real training in fine art and academic painting, so some of the big paintings are terrific objects, but lack art school formalism. Renoir created a new French woman, and a new French man. He influenced fashion. Renoir was in love with French culture in that way. The French girl was a thin-ankled girl. Renoir made these girls with thick ankles, big butts, and pretty little faces. Brigitte Bardot is like that. And the man in Renoir’s dancing pictures is a perfect man — masculine, contained, and strong. JS: Your first exhibitions were held at some of the influential artist cooperatives of the 1950s, like Roko Gallery, the Sun Gallery, and Tanager Gallery. Can you tell me about your aesthetic relationships with some of your peers, like Lois Dodd and Philip Pearlstein? What other artists do you feel you are in conversation with? 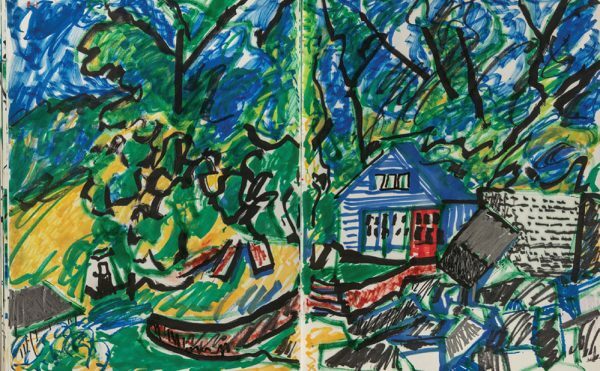 AK: I bought the old house here in Maine with Lois Dodd. There were relationships between all of us, but we had different ambitions. Pearlstein is more interested in conceptual ideas, so his work relates to the art history world. I am more focused on technique. I don’t think Philip goes to museums to look at how to paint hair. I love the big openness of the Abstract Expressionists. De Kooning opened up Venetian painting, which he was looking to as big painting. When I left for Europe for the first time, Franz Kline was at this party. He said, “You think our paintings are big? Wait ‘til you see theirs.” He meant Tintoretto, Veronese, Rubens. Wow! They have a lot of pizzazz. I was in conversation with the Abstract Expressionists. That is big time muscular art. My painting is power painting, which seems unusual, because I’m using this light subject matter, like a lawn of grass, or a pretty girl. But, you put it next to one of those guys, and I’ll eat it up. JS: I know you feel that there is a link between art and fashion. Can you tell me more about this? AK: Art history presents an idea that these great masterpieces are forever, and that no one ever can make another great masterpiece. But it doesn’t go that way; it is subject to fashion. 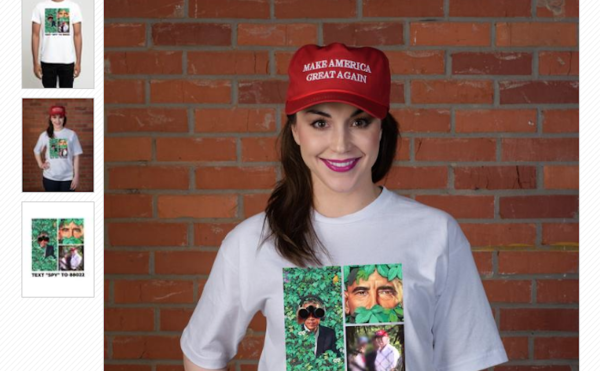 Change is fashion, and fashion is a factor in art, and people don’t want to accept that. They think art should be forever. For me, it’s just like fashion — every three years it changes. The hems go up, the hems go down, and it doesn’t get any better. I am more at home living in a world of variables, than one of fixed values. If you make something realistic, you think you’re in the present tense, and you are. 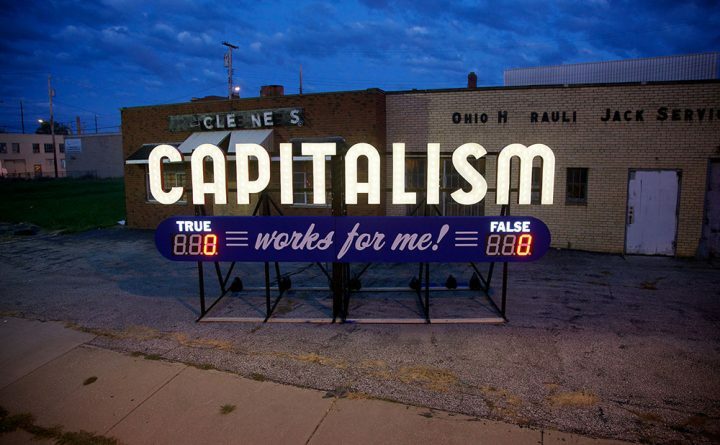 But, forty years later, it’s not realistic anymore. I think fashion currents are global, and they cross the arts. Some people will say art dealers and museums dictate and manipulate these fashions, but they don’t have that kind of power. It is a big cultural wave. For example, it is why Faulkner, de Kooning, Pollock, and bebop jazz were, all at the same time, breaking down linear structures. These things happen in different places, in the same civilization. All people have a feeling about art, and literature, and music. I think that is inherent. It is like how people react to violence. If a big boy hits a little boy, people don’t like it, right? We have a certain kind of ingrained morality that goes through everything. People all over the globe have similar feelings about things. There are big changes, and the fine arts are part of it. Painting is not an isolated art; it relates to everything that’s going on. A good artist hooks onto the wave. Somehow, he’s in touch with what’s going on. JS: When you look at something like a Rembrandt, you don’t think there is a timeless element? AK: Rembrandt’s paintings must have been shockingly realistic to people. But, when I look at you, I don’t see like Rembrandt. He’s a real good painter, but he isn’t the end-all. No painter covers the whole board. Sometimes people prefer Rembrandt for a while, and then they prefer Velázquez. Rembrandt’s technically very good, but Franz Hals paints better large paintings. The large paintings are really terrific. The French painter and art critic Eugène Fromentin didn’t like Rembrandt at all. He preferred Hals across the board. Rembrandt doesn’t fit into French elegance, you know? I prefer Thutmose, the sculptor who made the bust of Nefertiti, to Rembrandt. He has a fantastic line. The modeling that he does is as good as Raphael. JS: You’ve made large paintings with dramatically cropped faces, and other paintings where the figure is on a large, flat ground. In the paintings here in the studio right now, figures are dramatically different sizes. Can you talk about this idea of size and scale? AK: The idea of life size is variable. There is no one life-size. Think about the Etruscans, and Giacometti. A 40-foot face in a movie is life-size to you. You’re going to see it, and feel like you’re looking at life-size people. When I was making the cut-outs, I started to think about sculpture, and how you can make the negative space come right up against the face. Then a couple of years later, I was thinking about movies and billboards and wanted to make something new, and real. So I started with the big faces. The first good one was “Ada” (1959). JS: I know that your process involves making a small oil study, then a finished drawing, and then projecting that and making a cartoon. What are you thinking about when you get to that final step of the large painting? AK: I’m following the paint. I’m trying to make the paint look good. It’s just that. They are done very quickly, so they are fresh. Sometimes, the first sketch is better than the finished painting. You don’t know. When I’m doing a big painting, a lot of it has to do with technique. You just pay attention to what you’re doing; it’s very direct and decisive. On some of those paintings, I have 15 feet of wet line going through wet paint. That’s all technique, and you just hope you’ve done it enough that you can do it again. JS: You mentioned the conversation with other artists. I wonder if you think about your audience, more generally — who you are speaking to, and if that is subject to change and variables? AK: Yes, I think painting has about five different audiences. You have the audience off the street that says, “Hey, I like that.” Then you have painters, and they come in, and say, “This guy can paint, but this guy can’t paint at all.” Writers think, “This stuff is really interesting to write about.” The dealer thinks, “This is real art, and I can sell it, one way, or the other.” Then you have the collector, and the museum person. They are all seeing different paintings. I don’t think any painter has all five or six audiences at once. People can relate to Jackson Pollock, which is kind of amazing. The paintings are decorative, so collectors like them. New York collectors seem to like decorative paintings, and they like paintings that are intellectual. Those are the two things that I think exert the most power. 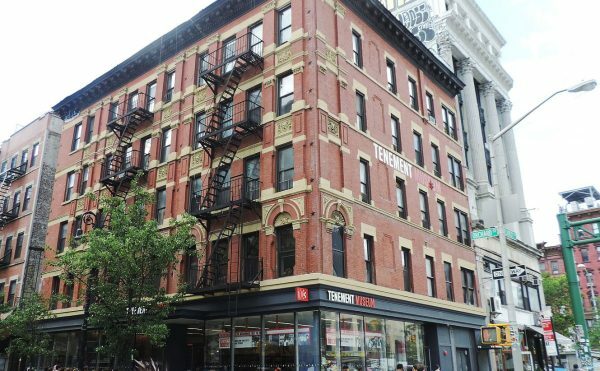 If it is not decorative, it has a hard time in New York. Park Avenue people like their paintings to stay in their place, and behave, like cocktail music. Caravaggio wouldn’t have had a good time in New York City. They’re dynamite paintings, but they’re not decorative. In Western culture, at times, he’s out of fashion, and at other times, he’s the number one stylist. JS: How did you start working with multi-figure compositions? 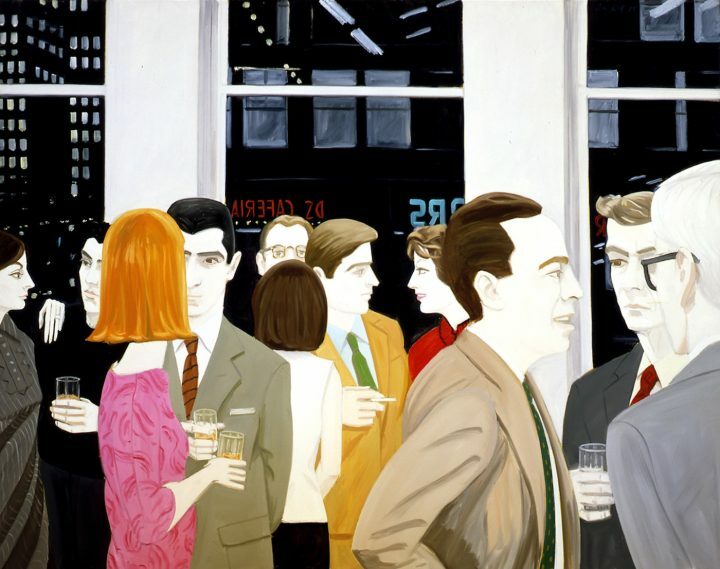 AK: My big paintings of cocktail parties and social scenes started with the idea of making a gesture for our time. The gestures were all drinking and smoking. That was the 1950s, the world of Don Draper. Smoking is now an anachronism, and same with the drinking. People drink coffee now, instead of martinis and beer. So, once I did that, I started doing paintings that were more complicated, more compressed, with groups of people. I had no way of knowing how to do it, so I would look at other painters, who have composed these social scenes. No one in the 20th century did much. Renoir is pretty good, but you have to go back to Watteau. Now I am working on paintings that are more like collage ideas, rather than exploring relationships. The people don’t relate to each other, or they are the same figure, like “Vivien” (2015). JS: You have painted your wife, Ada, across the decades. Does it come from an idea about a repeated subject? AK: I don’t think it’s repetitive. When I started out, she didn’t look like Ada; she was a pretty girl. Then, over time and in different paintings, she was a housewife, she was a movie star, she was a mother. You cast her in roles. She saw a lot of movies when she was young and all her gestures come from movies. Her mother had great taste and made clothes, so her clothes were wonderful all her life. JS: Can you tell me about your sources and how you work from a combination of photography, life, and memory? AK: One of my most popular paintings from the 1970s is “Islesboro Ferry Slip” (1975). My son Vincent was at Mont Saint-Michel and he was photographed on the roof with his friend, with the wind blowing in their hair. They look like prep school kids, wearing jackets — it’s very romantic. I decided to do it again in Maine, and used the photo of Vincent, and had a friend pose where the other figure was. I put them on the Ferry Slip. It wasn’t literal; it was an idea about the romance of prep school kids. So many things can be great subject matter. I could be looking at Nefertiti, and that could be something I see today. But it also could be movies and billboards and TV. I think everything in our culture is potential subject matter. You go into these areas where you don’t know what you can do, and think, “Let’s just take a chance.” And it happens. You keep going. The Abstract Expressionists were about finding truth and painting truth for the rest of their life. For me, there is no truth. You keep moving on.